Jypyä Pop (Turku, Finland) on 20 July 2018 in Animal & Insect and Portfolio. Excellent, très belles couleurs et l'été est bien là. Carnot better the natural world . . lovely. What more can you ask for a holiday with friends at the water's edge? Jolis huîtriers avec leur bec rouge. Aw yeah !!! this is true ! 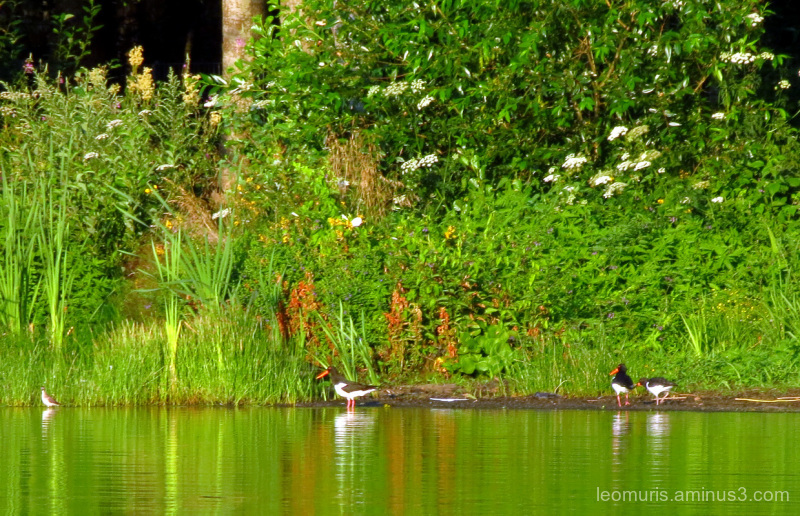 Really everything is ok there for the Oystercatchers even beautiful colors and reflections . Superb photo . Nice peaceful shoreline photo. Everything is fine indeed. You have nice warm summer ! A beautiful, cheery image with lovely colors and reflections. such beautiful colors, lights & reflections!